Join us at Burgoyne Woods Park on Sunday, June 10th, 2018 for a day of MUD, SWEAT, & CHEERS! Modelled after popular ‘mud run’ events for adults, the Kids Ultimate Challenge offers a unique experience geared to children from ages 4 to 13. This highly anticipated family outing is packed with kid-friendly activities – the highlight of which is a non-competitive 1km obstacle course filled with fun surprises! Challengers start their experience with a high energy warm-up, after which they will venture through numerous obstacles, receive a participation medal at the finish line from St. Catharines Fire Fighters, refuel with some tasty food, and then head over to the Kid’s Fun Zone to round out the day with inflatables, games, crafts and face painting! 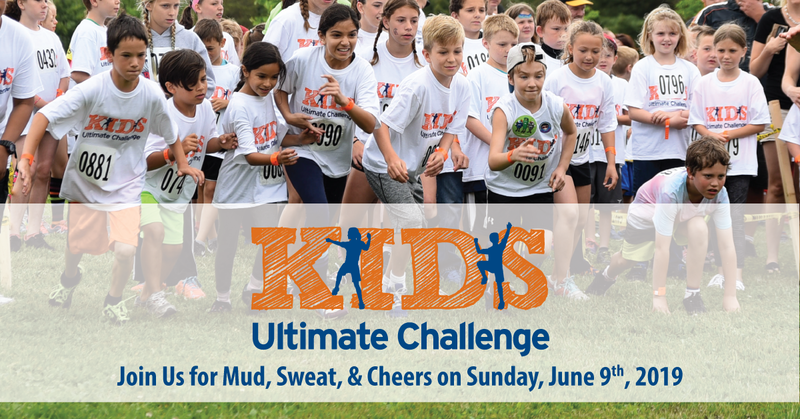 The Kids Ultimate Challenge not only promotes healthy living, but also provides an opportunity for challengers to support a cause that ensures our youngest patients have access to vital patient care equipment. With the support of hundreds of young philanthropists and numerous community minded supporters, over $200,000 has been raised for the Children's Health Unit at Niagara Health since the inaugural event in 2013! Please click here to view the full list of Penny Raffle winners! Prizes can be picked up Monday-Friday, between 8:30am-4:30pm at the Niagara Health Foundation office located at Niagara Health’s St. Catharines Site (1200 Fourth Ave). Prizes must be picked up by July 24, 2018. When you arrive at our site, please park in one of the 15 minute parking spots out of front of the main doors. The Foundation office is located in the main lobby of the hospital, beside the piano. Please make sure to bring your winning ticket with you. If you have any questions, call Niagara Health Foundation at 905-323-3863. - "Event all about kids helping kids"
- "TVCoegco Niagara - June 11th Source Story"
For Information about the Children's Health Unit at Niagara Health, click here. Did you know: Canadian children get an average of 7.5 hours of screen time a day? That's the equivalent of a full time job! Here are some tips on increasing your child's daily physical activity.